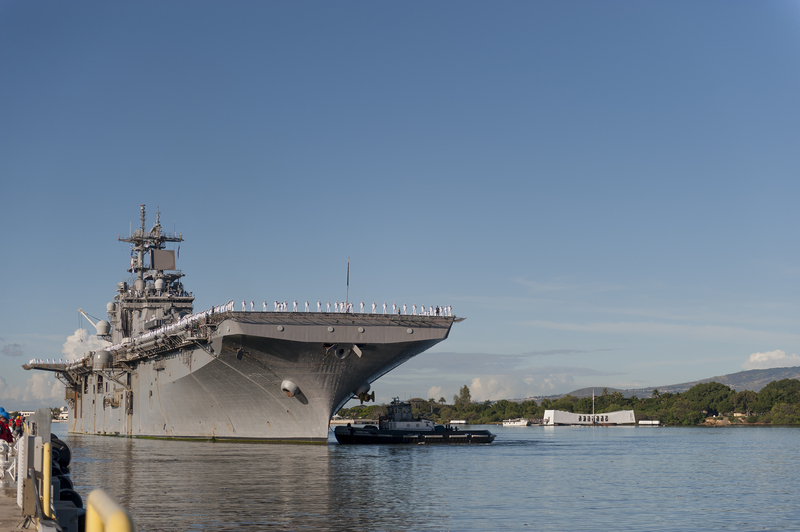 Amphibious assault ship USS Wasp (LHD-1) arrived at Joint Base Pearl Harbor-Hickam for a final port visit on Dec. 28, ahead of making the final leg of the voyage to the ship’s new home in Japan. Wasp departed Naval Station Norfolk in Virginia on Aug. 30 to begin its move to Sasebo, Japan, where it will replace USS Bonhomme Richard (LHD-6) as the forward-deployed big-deck amphib in U.S. 7th Fleet. Once in Japan, Wasp will begin preparations for its first Amphibious Ready Group(ARG)/Marine Expeditionary Unit (MEU) deployment of 2018, which will be the first ever to include the F-35B Joint Strike Fighter as part of the aviation combat element. Wasp returned one year ago from a Middle East deployment, its first in 12 years, and began making preparations for a quick move to Japan and a first F-35B deployment as early as the fall of 2017. The move was delayed a bit, and then when Wasp departed Norfolk in early September it was rerouted to help respond to post-hurricane disaster relief efforts in the Caribbean. Wasp was the first ship to arrive in the U.S. Virgin Islands after Hurricane Irma decimated the islands, and a month later the amphib joined the relief effort in Puerto Rico. 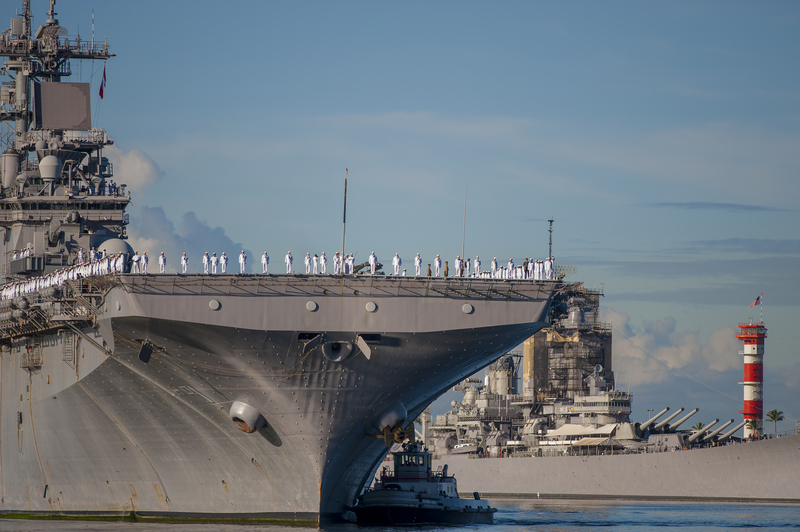 After wrapping up its humanitarian assistance and disaster relief mission in late October, the big-deck stopped at Naval Station Mayport in Florida for a quick maintenance and resupply period before resuming the move to Japan. Wasp sailed down the East Coast of North and South America, passed through the Strait of Magellan at the southern tip of Chile, entered the Pacific, and has now paused for a port call in Hawaii before continuing on to its new home port.